We're continuing with our Happy Cat Month posts, and this time we've found some products that will make your cat happy. The perfect playtime for your cat! Protect your furniture with our Cat Scratching Post! 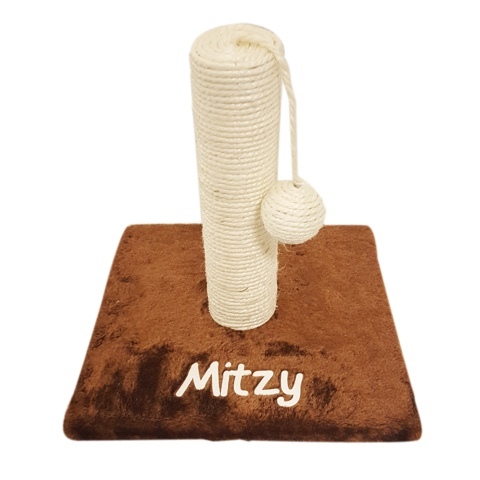 Personalised with your cat's name in white felt letters, the rope scratching post also features a hanging rope ball that your cat will love to play with. It's purrfect for a pet lover! Description: Wow, who'd have thought it, a humble apple crate turned into a Personalised Cat Bunk Bed! 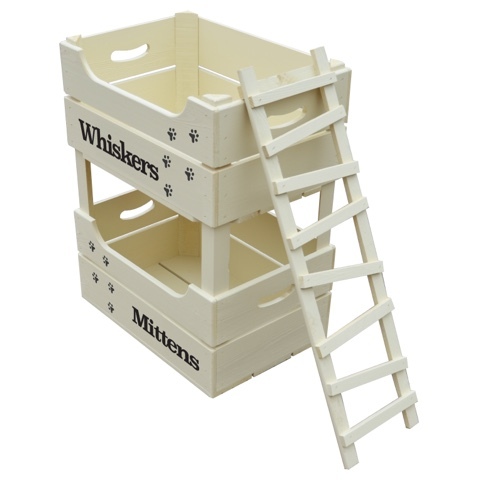 We've seen everything now, this brilliant adaptation of our pet bed crate is absolutely unique and brilliant for your cats to climb over, sleep in and make their home. With eye catching graphics including a great new font and optional paw prints and ladder, it really is the ultimate cat bed! The purr-fect gift for your feline friend! 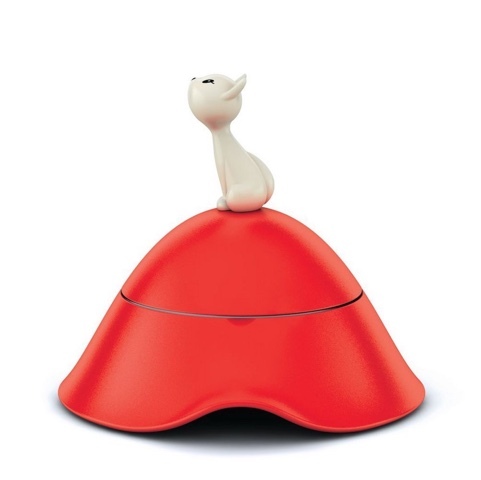 Alessi have brought design to the cat world with this brilliant Mio Cat Bowl. 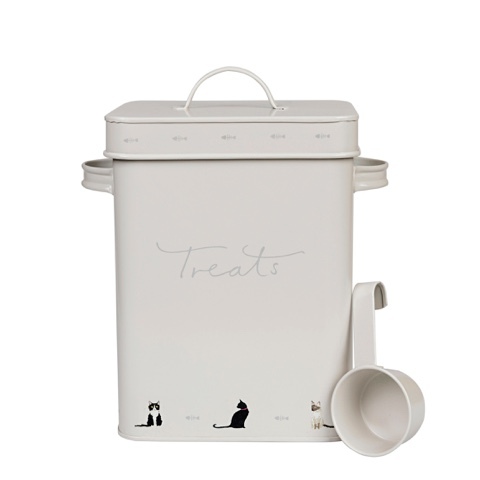 The upturned design makes it easy to pick up and the lovely lid with the cute little kitty handle means that food can be kept fresh. Description: Practical stone coloured tin to store your Cat biscuits and treats! A selection of cats surround the base rim of the tin with some grey fish bones around the lid rim. Disclosure - No payment or gifts were received for this post.